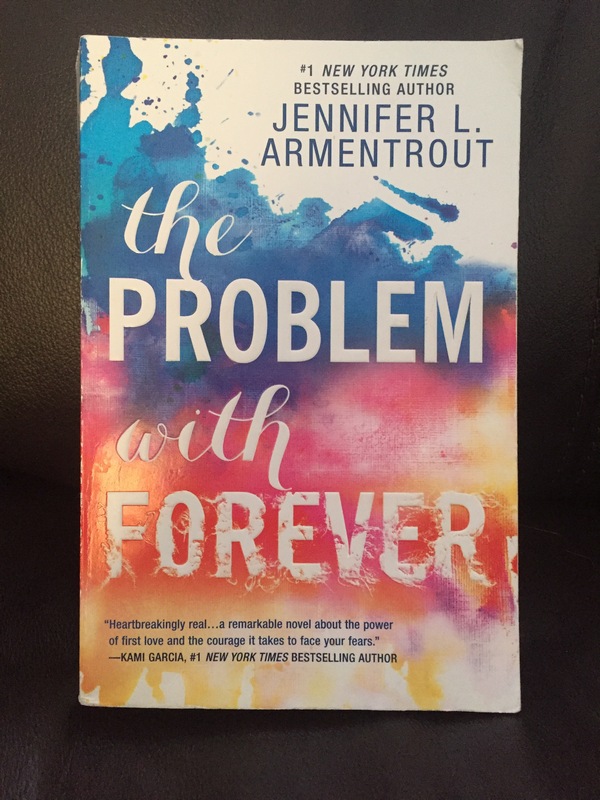 The Problem with Forever by Jennifer L. Armentrout was so good! I absolutely loved it. It is a young adult novel but it was just what I needed after being in a bit of a funk last week. It definitely still had some dark and tragic moments in the book but that’s okay because they were important to the story line and so well written! The book is about a girl named Mallory. She has been homeschooled because of her traumatic past but decides she needs to go to high school for her senior year. She obviously didn’t expect to run into Rider, the boy from her past, on her first day. They grew up together in a foster home but then they were separated for years. He protected her in that home and he has every intention of doing so now that they are back together again but now they are different people. We follow their relationship and everything they have to face as Rider never came to terms with their past. He starts to spiral out of control and Mallory needs to make a decision if she’s going to stay quiet or do something about it. This book really makes you realize that you have no idea what anyone has been through or what challenges they are still facing. It definitely goes to show that you should always reserve judgment. No one’s life is perfect but that’s hard to remember sometimes. I’m not going to give anything away so you’ll have to read it for yourself. It’s worth a read, I couldn’t put it down! Have you read this before? Let me know!